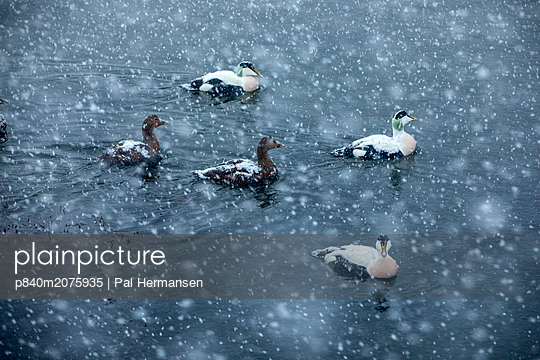 p840m2075935 - RS - Common eider duck (Somateria mollissima) in snowfall, Trondelag, Norway, January. Overall winner of the Terre Sauvage Nature Images Awards 2017. Winner of the Portfolio Award of the Terre Sauvage Nature Images Awards Competition 2017.